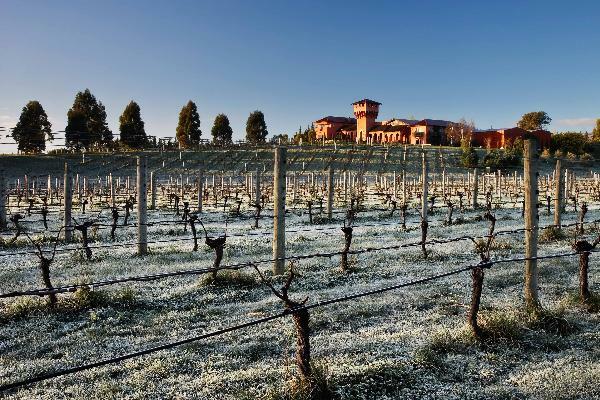 Established in 1989, Highfield’s Tuscan inspired winery and tower stands tall on the Brookby Ridge with commanding views over the Wairau Valley. Since 1999 Al Soper has held the reins as winemaker, hand crafting ultra premium, food friendly wines. Al users only free run juice and the white wines are aged on yeast lees to gain complexity; an indulgent philosophy but one that guarantees wines of the highest quality. Highfield’s flagship wine Elstree Cuvée Brut has been lauded as ‘one of the most champagne like NZ sparklings’ while the Sauvignon Blanc has won gold or trophy each year since 1999. Come and see Highfield TerraVins Tuscan inspired winery tower for the best view in Marlborough. Join us for a tasting or for lunch on the sun drenched patio with a spectacular setting. In winter sit by the crackling log fire and relax.